A report from a national charity has found many myeloma patients are unsure what questions to ask health professionals about their diagnosis. To help people access the support they need when they need it, the charity Myeloma UK's Infoline offers an invaluable service, say nurses Angela Watts and Christine Protheroe. According to a new report from cancer charity Myeloma UK, many myeloma patients are unsure about the issues they should be discussing with their nurse and other healthcare professionals. This is an invaluable insight that makes us, as nurses, stop and think about how and what to ask patients when we see them in a clinic. Not all patients have the confidence to express their concerns in a clinic setting and may feel overwhelmed and anxious. The report, which analysed about 3,500 calls and emails to the charity’s Infoline support service, looked at the key questions patients were asking in relation to diagnosis, treatment and care. It aims to increase knowledge about the issues concerning patients, and raise awareness of an invaluable support service, of which many people are unaware. Myeloma is a rare and incurable cancer affecting around 17,500 people in the UK, meaning non-specialist nurses might only see a handful of cases throughout their career. A complex, relapsing and remitting cancer, patients often require many different lines of treatment, each of which comes with its own risks and benefits. Many patients calling the Infoline are looking for information and support at relapse, to talk through options when they stop responding to treatment, and to discuss end of life. Analysis of call topics showed that two in ten callers mentioned their relationship with their nurse or doctor, or cited this as the main reason for their call, with many needing reassurance that their concerns were important enough to raise with health professionals. Patients often feel restricted by time. Clinic time slots are short, and patients may not get chance to ask all the questions they want to. 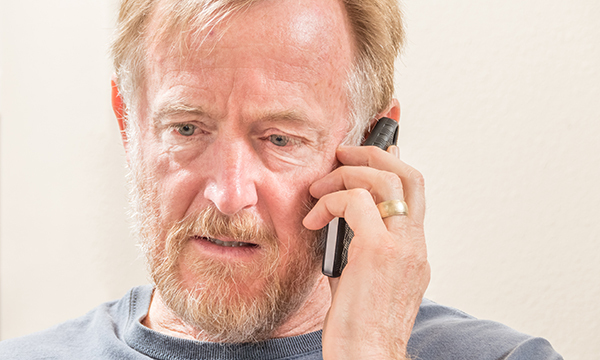 The Infoline service enables patients to do so in their own home, in their own time. It can make a real difference by providing patients with impartial information to reinforce messages given by doctors and nurses, and encourage the reporting of symptoms and side effects. Our aim is to provide the best possible treatment and care for our patients, but it is impossible to know every detail of their lives. The Infoline is an invaluable, impartial service that is essential in helping to provide all-round patient support. Anyone affected by myeloma can call the Infoline Monday to Friday from 9am-5pm on 0800 980 3332, or email AskTheNurse@myeloma.org.uk at anytime.